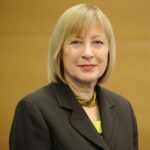 Mary Honeyball is a Member of the European Parliament, where she represents London, and a Patron of the British Humanist Association. Prior to entering politics, she had a distinguished career in the third sector, running the Council for Voluntary Service in the London Borough of Newham, working as a Senior Manager for Scope, Chief Executive of the single-parent families charity Gingerbread, and General Secretary of the Association of Chief Officers of Probation. An excellent post, getting its point across very simply and clearly, without showing off or making laboured analogies. A great read, shared on FB! “Progressive” yet never a female President of the EU Commission, not one of the current presidencies (banl, parliament, union, etc) are female and the 20 member Commission itself has less than 30% female members. This is progressive? What about on this occasion….